As a home stylist, designer, and artist, I love color. Color can change the way a space not only looks, but also how it feels. If you’re considering a new paint color, take a look at these colors from Sherwin Williams and Benjamin Moore. Both companies recently announced their Color of the Year for 2019 and I’m in love! 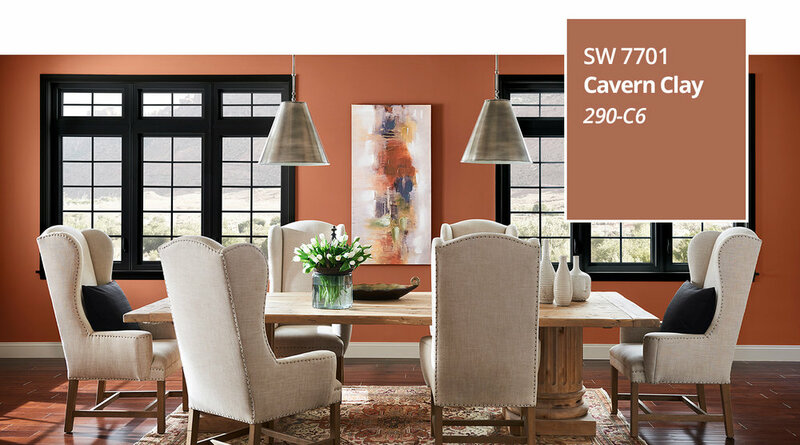 Sherwin Williams’ 2019 Color of the Year is Cavern Clay (SW 7701), a warm terracotta. This warm hue brings the outdoors in and adds a nice pop to any space. The Sherwin Williams website describes this color as “a nod to midcentury modern style, but with the soul of the American Southwest, which together creates a desert modern aesthetic.” This earthy hue is both casual and refined, and looks great with stone, leather, woodgrain and greenery. If you love all things earthy, southwest or bohemian, then this color is for you! It pairs beautifully with neutrals such as warm gray or deep brown. If warm, earthy tones aren’t your thing, on the opposite end of the spectrum is Benjamin Moore’s 2019 Color of the Year, Metropolitan (AF-690), a cool gray. Benjamin Moore’s website says it “emanates nuance, harmony and extravagant ease. Always adaptable, it softens to matte or shimmers with sheen. It's neutral. It's understated. It just is. This is color, off-duty." This neutral, soft gray is “calm, composed, and effortlessly sophisticated.” It’s the perfect backdrop for almost anything. 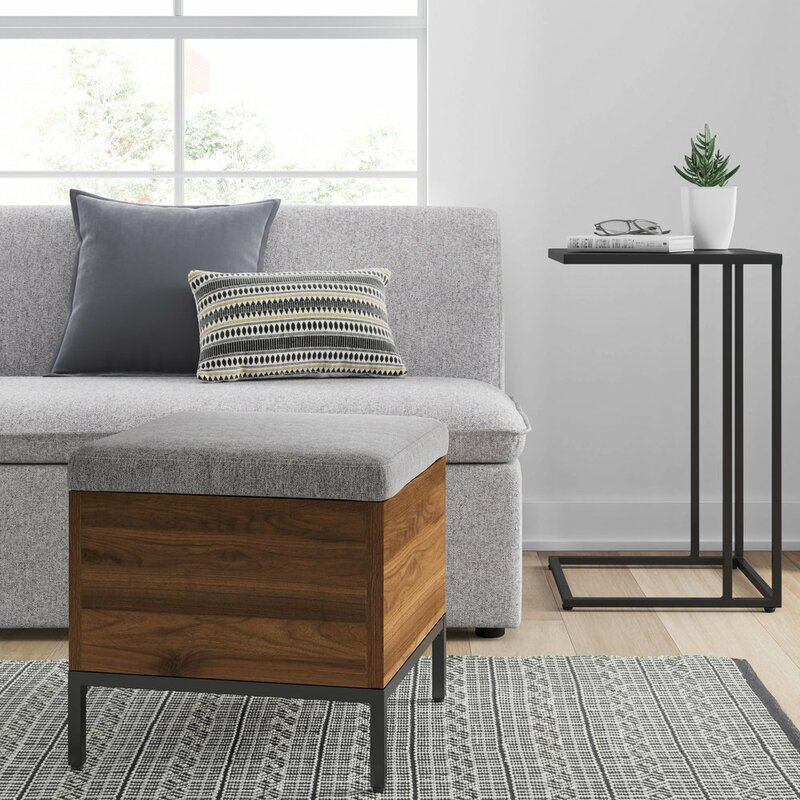 Layer it with other neutrals to create a soft, modern feel, or pair it with navy or blush tones and metallic accents for something a little bolder, but still modern and sophisticated. As much as I love the color and warmth of Cavern Clay, the cool, neutral hue of Metropolitan is more my style. Which one is your favorite? One thing I hear often when going to staging and styling consultations is that the homeowner feels as though they don’t have enough space. They have things spread out on counters and stacked on floors because they can’t seem to find a better place for it. If you are reading this nodding your head in agreement with them, you are not alone! Sometimes there truly isn’t enough space, but more often the space is just not being used as efficiently as it could be. If you suspect that may be the case for your home, here are some tips to improve your space utilization and de-clutter your rooms! Y’all, I love bins! Especially the wicker ones. 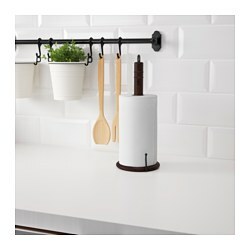 These can be found at Target or IKEA, fit most of those cube shelves, and look really pretty. I use them in most of my closets for things like shoes, dog supplies, and even in the laundry closet for small appliances I don’t use often (hello space heater). 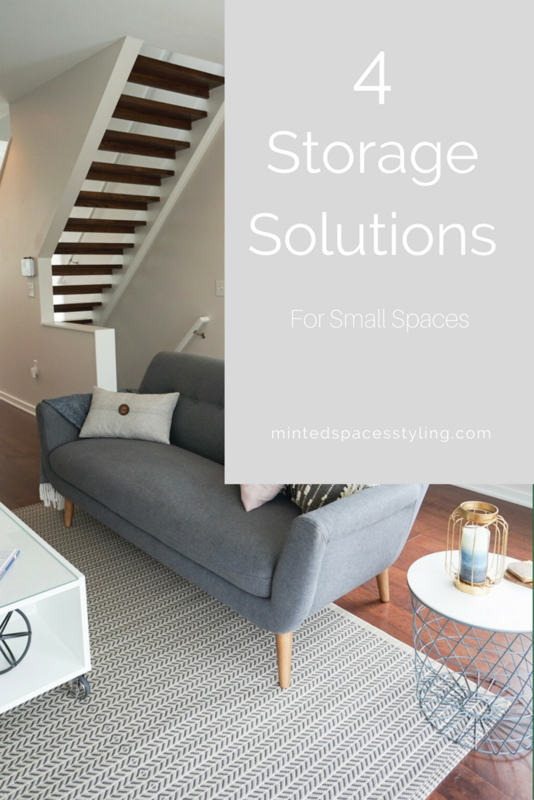 Aside from making the closets appear more organized, it helps you go up in the space. It’s pretty hard to stack shoes on top of one another without a container. They spread out as far as the space will allow. Same goes for space heaters, towels, etc. These small bins will help keep the clutter out of sight while giving you more space to work with in your closets. If you like the look of tufted ottomans, then this is a major storage solution for you! The come as small as eighteen inches wide and as large as four-five feet! These are great for tucking away remotes, blankets, dog toys, books, children’s toys. Basically anything that may end up in your living room (or even bedroom, at the foot of the bed), could be tucked away in here. For even better utilization, put small bins inside to keep remotes and other smaller items from getting lost in those blankets. This is key for those with smaller kitchens and pantries. The name of this game is "going up". IKEA is a great resource for finding various shelf racks. Some can be drilled into the wall, some can be attached to existing wire shelving. Whatever your need may be, I bet they have a shelf for it. If you have an open wall in a kitchen, embrace the open shelf tend! Don't have space in your living room for a bookshelf after your couch is in there? Put shelves above the couch. Stagger books and framed photos/artwork on these shelves to keep the space beautiful and feeling intentional. They make these for all sorts of things now. You can hang brooms on the wall of the pantry. Get some for the back of the bathroom closet/linen closet for storing cleaning supplies or beauty products. IKEA has some that you can hang tins from, which can be used for utensil storage or growing herbs/succulents. We've used wall spice racks as a solution to our tiny pantry. Hopefully this can get you started on a more organized, less cluttered living space! I had every intention when we started this gallery wall that I was going to write this fabulous "How-To" for big gallery walls. Um, three days and roughly eight collective hours later, I realized I was so naive. So just like How To Lose A Guy In 10 Days, I'm reverse how-to(ing) this. I started this process quite awhile before we purchased anything for it. I'd like to think I did the first few steps correctly. I picked a frame that was simple and would be uniform across the entire wall. I picked a few big pieces that we would work around. Finally, waited for wedding photos before beginning because I knew I wanted it to be all about us. Then, Michaels had a HUGE sale on the frames I wanted. We went to two separate stores and still ended up with two different colored frames. A dark wood and a white. I decided to come to terms with this, even though I knew I will eventually want all the same shade. Luckily, the Belmont frame from Michael's doesn't seem to be going anywhere anytime soon. So, now that we've cleaned out both of the Michael's of their remaining white and dark wood frames, we headed home happy. Ok, I was happy. Alvin was agitated that he went to decor stores after a work day. As soon as we got home, the high of the deals had me instantly moving our coffee table to make room on the floor to start creating the layout. Creating the layour was messy work. After creating a beautiful layout that I adored while it was on the floor, I measured the width and height to give us some parameters on the wall. We used painters tape to mark the height parameters but I decided pretty quickly that I wanted the gallery to be a bit wider than it was on the floor. In my excitement/Friday night exhaustion, I didn't think through the problems widening it might cause. This is mistake #1. So we put them all up, roughly where they were on the floor. I say roughly because mistake #2: we didn't measure between the frames as they were on the floor. Not that it would have mattered since I widened the space anyway. Are you following this domino effect of mistakes? All the frames at the bottom were driving me nuts! Frustrated and tired, we call it a night. In the morning, it becomes obvious that there are weird gaps that weren't there before. That afternoon, I try rearranging it a bit. Just moving frames a bit to the left here, a bit to the right there. But overall keeping the same design as had been on the floor. Mistake #3. I should have realized that the shape on the floor only looked that good because of the width parameters. The only thing we accomplished on day two was creating lots and lots of little holes in our wall. Seriously, it looks like someone took a machine nail gun to it. End of day 2, contemplating my life decisions. JK, I was trying to solve the puzzle. So on day three, I decided I still loved the height. And I picked two edge frames that I wanted to be the furthest points. Then we moved nearly everything else around. We ended up with two fewer frames than originally intended because once it was on the wall, I liked having the negative space. Here's the final product! So what can you learn from this post? 1) Don't take shortcuts. We were so tired we thought we'd just hang them up "roughly" where they were on the floors (Actually this was Alvin but he was doing the hanging so I didn't want to fight him on it). Taking this "shortcut" ended up costing hours in rearranging times. 2) Use tape to mark parameters or even the shapes of each individual frame. It would have taken quite a bit of time to use tape to mark each individual frame (we have sixteen on this wall) but it's also going to take quite a bit of time to fill in all those holes from us moving the frames around. 3) Do your style research. I had a hard time finding a similar gallery wall to mine, in that we used clean modern style frames but did a large asymmetrical layout. However, if you're interested in a mismatched farmhouse wall or a super clean uniform wall, there are a lot of examples out there that you can browse through. Find what you do and don't like before starting to hang things. 4) Don't be afraid to rearrange it. Sure, you may end up with a few holes. But those can be patched up! Accept that you made a mistake the first (or fourth) time around and just tweak it until you're satisfied. 5) Know when to stop. This is especially tricky for perfectionists like me working on an asymmetrical gallery wall. Just know, that it's probably never going to be "perfect". But once it looks pretty to you, stop. Then just enjoy your beautiful work and photos! Shoutout to our wedding photographer Erin, of Luxe & Pine! We adore our photos so much we spent hours working on a gallery wall because we couldn't narrow down any further which ones we wanted framed and up on the wall!